"You are my beloved son". "You are my beloved daughter". Once we hear the Father speak these words into our hearts we can begin to understand the depth of his love for us. His love knows no limits. 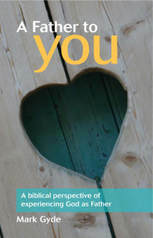 This new book takes you on a journey and shows the depth of His amazing love through the many and varied circumstances of life. It is a heart revelation of the vastness of the Trinitarian love which is made available to us through Jesus. Many of us have learned to be servants and actually become quite good at it. "The Depth of Love" shows how we can become the sons and daughters the Father desires. This book has many practical ways in which we can live in and experience the depth of love the Father has for each one of us. ​This book is a journey of discovery. Its intention is not only to give a biblical perspective of the nature and heart of the Father but also to help you experience his perfect love and find the Father you may have been looking for all your life. "In this book Mark lays a solid Biblical foundation of the revelation of Father’s love and he continues to build on that foundation throughout the book. ​"Planted in Love" answers many practical questions such as : what do our lives look like when we live as God's son or daughter? What changes as we grow in relationship with our Heavenly Father? How do we walk as Jesus walked? 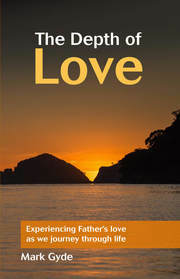 This book will show you how vast and amazing Father's love really is. 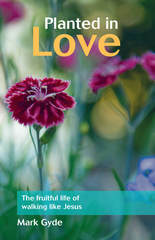 Barry Adams writes: "Planted in Love" provides a very helpful road map to hungry hearts who are wanting to journey deeper, wider and higher into the immeasurable love of their Heavenly Father.